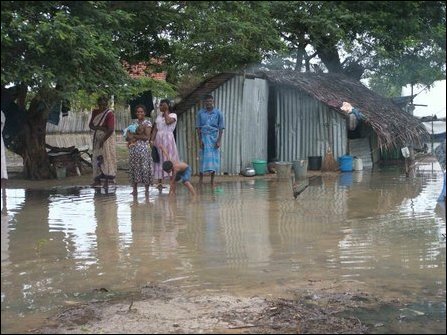 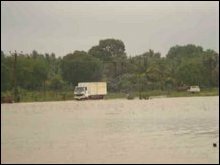 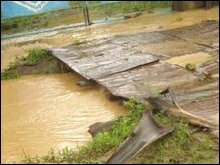 More than hundred thousand were displaced due to floods in Mullaiththeevu and Ki'linochchi districts earlier this week, the Government Agent for Ki'ilnochchi district, Imelda Sukumar, told media Saturday. 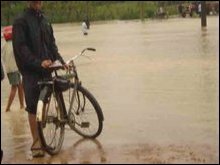 Meanwhile medical sources in Vanni said one civilian was killed by the floods. 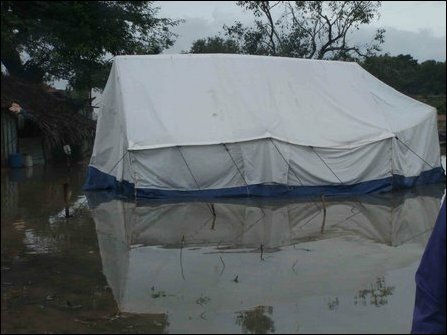 Students who sat for GCE O/L exams have been disturbed due to the floods, air attacks and artillery shelling by the SLA. 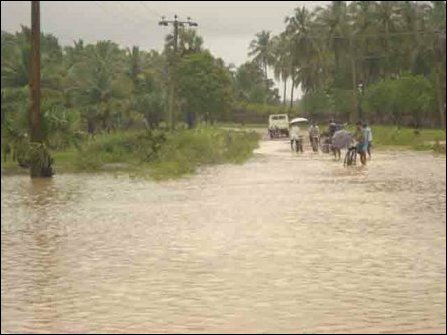 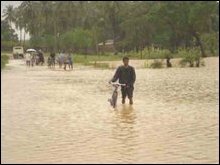 Most of the paddy lands and vegetable cultivation has been totally destroyed due to the floods. 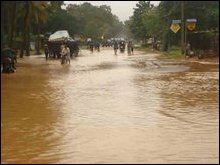 Only a few varieties of vegetables are available in Vanni.